THE GOVERNMENT HAS spent over €4.2 million on exceptional needs payments to help cover the costs of funerals and burials this year. Figures released to TheJournal.ie through a Freedom of Information request show 2,366 payments were made up until the end of October. The Department of Social Protection make the payments under the supplementary welfare allowance (SWA) scheme. It can make a single exceptional needs payment (ENP) to help meet essential, once-off and unforeseen expenditure which a person could not reasonably be expected to meet out of their weekly income. Most of these grants would be paid to family members organising services, but they also cover arrangements for those with no next of kin. The highest number of payments for funerals and burials was in Dublin (995), followed by Cork (203) and Kildare (107). The counties with the lowest number of payments were Leitrim (14), Roscommon (19) and Monaghan (21). The average payment was €1,810. The Department of Social Protection also noted that the figures were taken from the Department’s exceptional needs payment (ENP) database and represent a snapshot of the ENPs as they are approved by an officer rather than when they are paid. It added that these figures do not capture payments that are cancelled, payments that go out of date or overpayments recouped. (ENPs) and urgent needs payments (UNPs) in 2017. An application can be made under the ENP scheme for assistance with funeral and burial expenses where there is an inability to pay these costs, in part or in full, by the family of the deceased person without causing hardship. 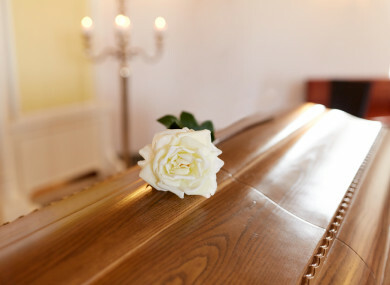 The Department can also provide for the burial of a person who has died if suitable arrangements are not being made. Email “County breakdown: Government paid out over €4 million to help cover costs of funerals”. Feedback on “County breakdown: Government paid out over €4 million to help cover costs of funerals”.